Contagiously fun and upbeat! 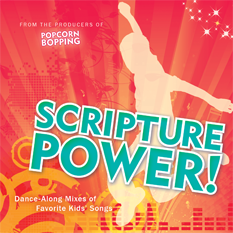 Scripture Power brings your favorite children’s songs to life in a way your kids will love! Dance along with your kids to these upbeat remixes of songs like “Scripture Power,” “Nephi’s Courage,” and “Once There Was a Snowman.” Perfect for listening on any day of the week, your kids will be begging you to listen to these fun songs with gospel messages again and again.